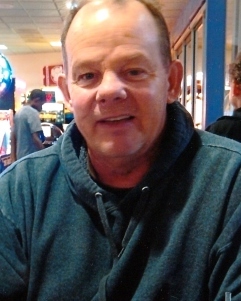 Michael Leon Whitmire, 63 of Middleton, Idaho passed away on January 10, 2019 at a local hospital in Nampa of natural causes. Michael Leon Whitmire was born in Caldwell, Idaho to Leon and Cecelia Whitmire on August 19, 1955. Michael was a student at Middleton High School. Mike married Penny Campbell, his wife of 34 years, on January 5, 1985 in Winnemucca, Nevada. He spent the last 15 years living in Middleton, Idaho. He completed plumbing school and worked as the plumber/owner of his own business, M & R Plumbing. Michael lived his life to the fullest, enjoying all the moments granted to him. He was a story teller, a jokester, and a wonderful helper. His stories will live on forever, his smile will never be forgotten, and his love for his family will be carried on forever. His family will love him every day until they see him again. Mr. Whitmire is preceded in death by his mother Cecelia Whitmire, and his infant daughter, Mechelle Lynn Whitmire. Michael’s survivors are his wife Penny (Campbell) Whitmire; his son Ronald Campbell and his wife Cassie; his daughter Misty Edgington and her husband David; his sister Sheryl Hoyt, and her husband Rich; his sister Linda Spearman, and her husband Jim; his brother Steve Whitmire; his father Leon Whitmire, and step-mother Lois; his grandchildren Mechelle Almaraz, Miah Almaraz, Maddison Edgington, Lucas Campbell, and Marabel Campbell, as well as numerous nieces, nephews, cousins, and loving family members. The family of Michael Leon Whitmire wishes to extend their sincere thanks to the numerous doctors and nurses at St. Luke’s and West Valley Medical Center(s) for their special care for Mike in his last days. A special thanks to Dr. Lyndon Box and Horizon Home Health & Hospice, Tina and Steve for always guiding and giving so much extra care during Michael’s ordeal. A viewing will be held on Thursday, January 17, 2019 from 6:00 to 8:00 PM at Dakan Funeral Chapel in Caldwell, Idaho. Services will be held at 2:00 PM on Saturday, January 19, 2019 at Dakan Funeral Chapel. Benje Graves will be officiating. The burial will follow the services at Middleton Cemetery. A reception will be held for family and friends in Middleton at 4:30 PM. In lieu of flowers, contributions, small or large, to gofundme.com/mike-whitmire would be very helpful and greatly appreciated.